The numerous intriguing kombucha benefits over and above the nutritional content make it very attractive as a functional beverage. However, it is often difficult to walk the thin line between the many claims describing kombucha’s various health-promoting effects and its proven ability to protect against certain chronic diseases. But…what is the science saying about kombucha??? Most of the studies on kombucha have been conducted on rats or other animals showing many health benefits, but unfortunately there is still insufficient evidence to reliably demonstrate that these effects will be replicated in humans. 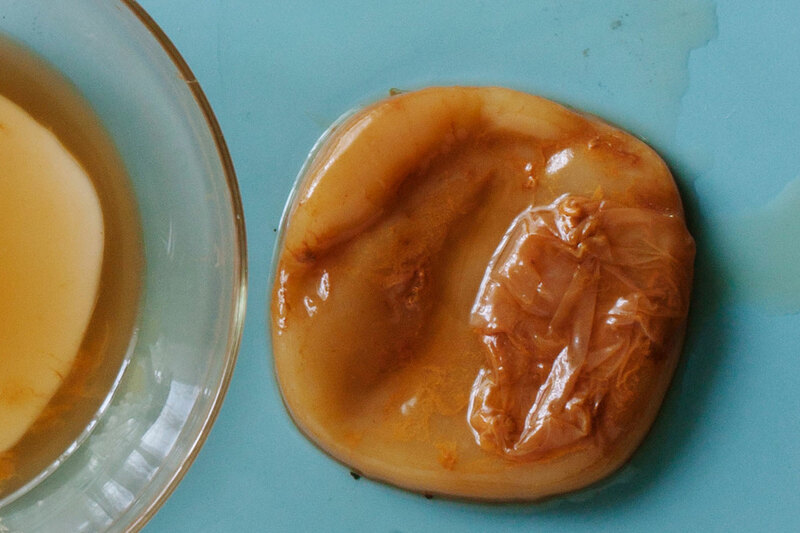 So, is it kombucha good? Reviews of the lab bench and animal studies suggest the drink may have several amazing properties for health! Kombucha is produced through the fermentation of sugared tea by a symbiotic culture of yeasts and bacteria called SCOBY. Naturally fermented food such as kombucha can strengthen and diversify your gut microbiome because they are a source of probiotics. Probiotics are beneficial bacteria that perform many crucial roles for us which include producing essential vitamins and digesting fibre, allowing us to derive more nutrients from otherwise indigestible food. kombucha is remarkably rich in these valuable microorganisms, some of which are unique to the kombucha culture. Furthermore, it is probable that kombucha’s abundant organic acids can assist digestion by helping to maintain our acidic stomach environment, essential for killing pathogens and enabling the break-down of proteins. The abundant beneficial bacteria and many of the yeasts contained in kombucha can strengthen your immune system by stimulating the production of immune factors making our immune systems more resilient in the face of infections. Antioxidants are substances that protect the body from oxidative damage caused by free radicals – the common pathway for aging, cancer and a variety of diseases. Free radicals are a normal byproduct of the body’s metabolic processes. However they are highly unstable molecules and can react and harm our body cells. Tea, especially green tea, is rich in a group of antioxidants called polyphenols. Certain studies suggest that the fermentation process renders kombucha tea even richer in polyphenols (and antioxidants) than non-fermented tea thereby boosting its antioxidant properties. Kombucha could potentially inhibit the growth of the pathogenic bacteria. This is at least partly due to the presence of acetic acid, a primary product of the fermentation process, and it is for this very reason that similar antibacterial properties are attributed to apple cider vinegar. Some studies have identified glucuronic acid as product of the fermentation of kombucha. This acid has been shown to bind to various toxins to increase their excretion from the body, a phenomenon that explains at least in part the detoxifying benefits attributed to kombucha tea. So, what can we conclude about kombucha benefits? Although more robust human studies are needed to validate the countless positive anecdotal reports, , at the very least we can say kombucha tea is a super healthy beverage and an excellent alternative to high calories carbonated beverages due to its low sugar content and boost of healthy bacteria!!! However the kombucha benefits are strictly dependent on the quality of the ingredients and the variety of microorganism species contained in the scoby, as well as the fermentation conditions, timing and temperature. So, make a healthy conscious choice and do yourself a big favour today by choosing LŌV kombucha!